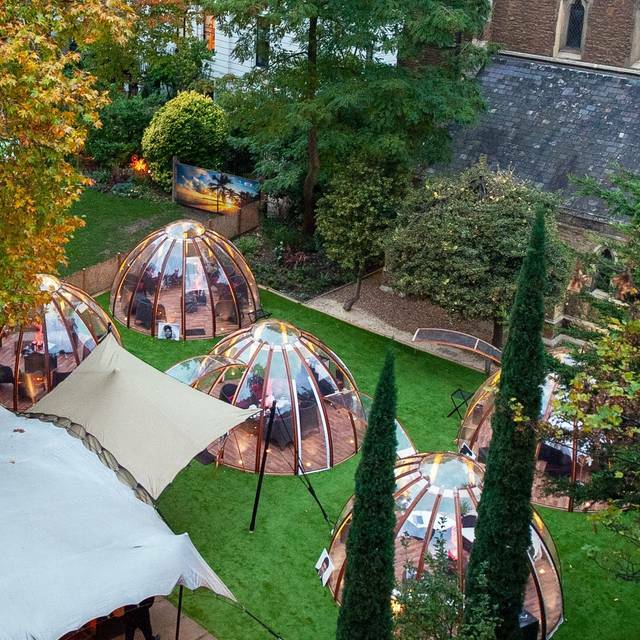 You must make bookings at least 5 minutes in advance of the time at Secret Winter Garden. 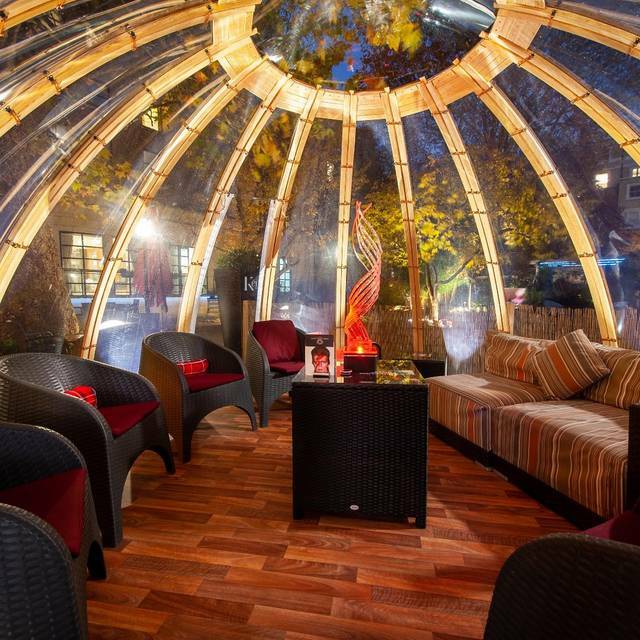 Get cosy in London's most secretive winter garden as you spend a few hours wining and dining in the comfort of your very own winter dome. 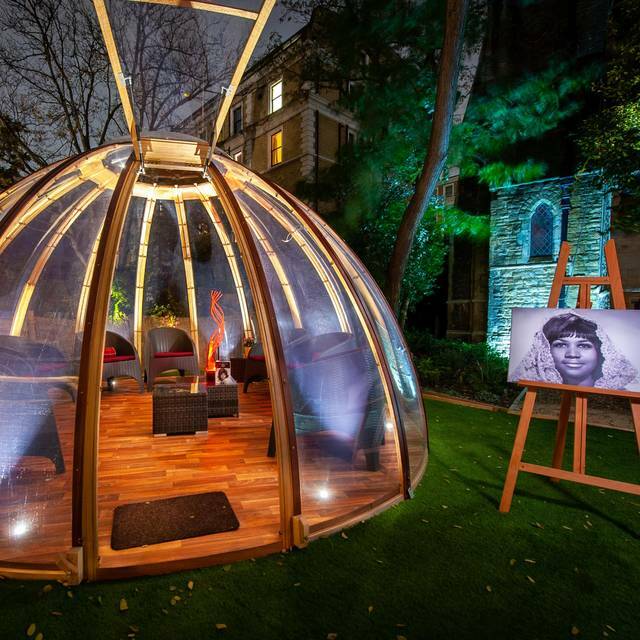 tucked away in the back streets of Kensington are five stunning pop-up domes, each named after an iconic singer from recent times. 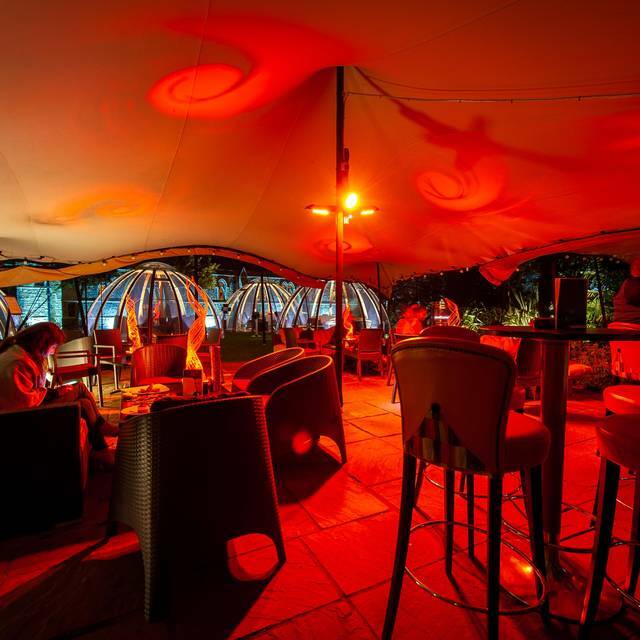 It's the ultimate atmospheric space, a place to entertain, celebrate a birthday, enjoy time with colleagues or settle in with friends and family for a few hours in your own winter haven. 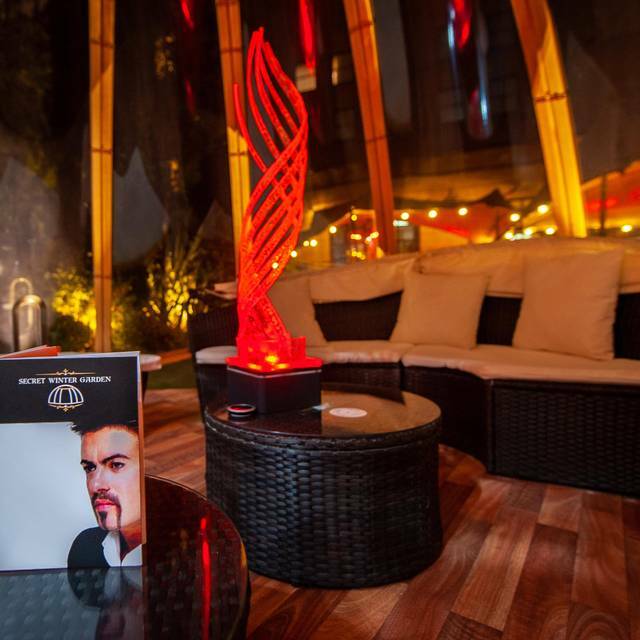 With a fantastic bar menu as well as an Oriental-inspired a la carte menu, paired with an extensive cocktail and drinks menu. 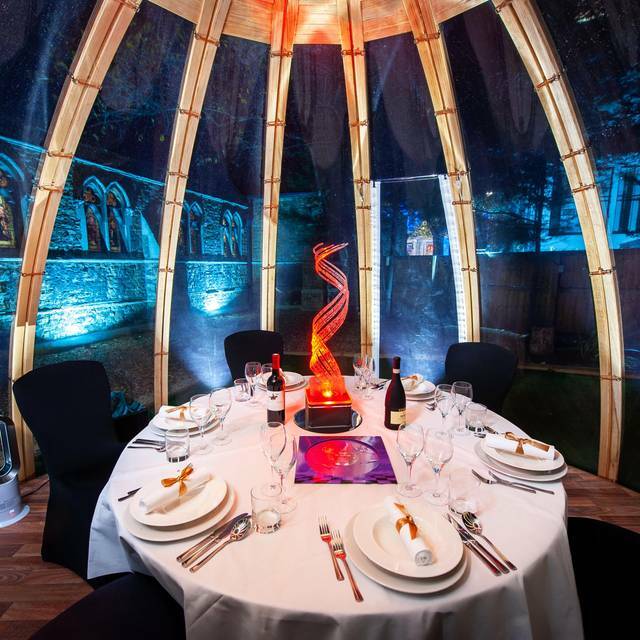 Our domes can be booked for a maximum capacity of 12 people seated or 15 people cocktail-style. There is a required minimum spend of £200 this spend must be used towards food and beverage purchases. A maximum duration of 3 hours applies. It was a perfect night out with a group of friends. We went for the £60 per head menu. The food is yummy and plentiful. Staff were very attentive, no request was too much. It was exactly what we had in mind and we had a lovely time. Ambience is great and food very good. Not a lot of rice for the large group as we were. Service was slow. We buzzed for drinks etc and it took ages and lots of ringing which spoiled the atmosphere. There was some confusion about desserts too that made things a tad awkward. Lovely place! Top class service, really nice food.! Venue and food was perfect for a business team dinner - intimate and fun - would definitely return. Mainly drinks with lots of smaller, sharing plates. The food was delicious and the drinks were really great! Quite a fun experience!! Lovely place and great for a group. Service was very slow but nice staff. Extremely slow service, there were 5 pods, all fully occupied and only two waiters - we waited over an hour between courses without even being offered a drink. Not the waiters fault, they were simply totally under staffed. Not acceptable for anyone. 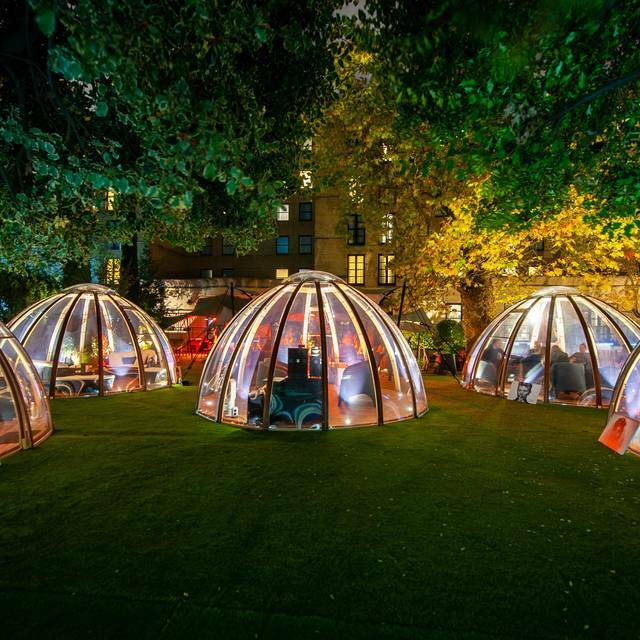 Great concept to be in a garden in the center of London! Venue, Food and Service all were excellent! I can’t wait to go back and star gaze. We went to celebrate a friend’s birthday and it happens to be on Christmas Eve. 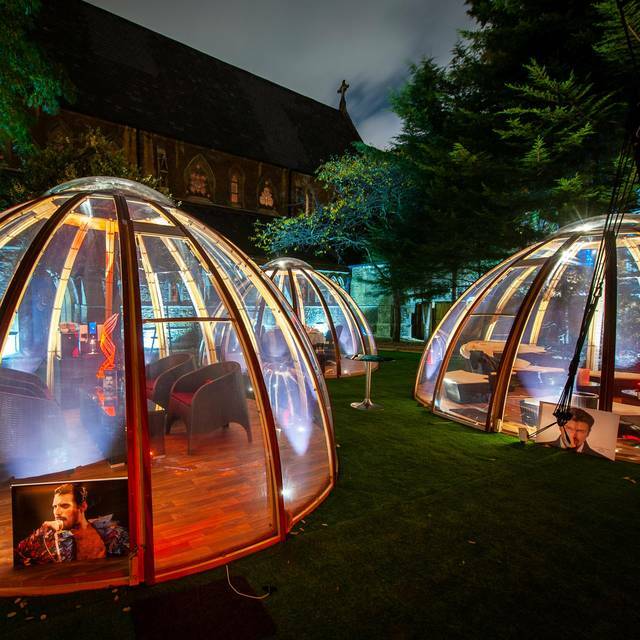 The domes were beautifully set up: warm and cosy. We had a choice of menus and after choosing, the food kept on coming. It was pan- Asian. The food was delicious. The service was excellent. There is a call button to call the waiter. We had a fabulous evening set in a wonderful location. A great start to our family Christmas. Poor service from start to finish. We went for lunch, 5 of us, 2 adults and 3 children. The concept works but the staff are unprepared. Cream for the afternoon tea was off and portions were unexceptable. The minimum spend of £200 is easily achieved but to be honest I’d go elsewhere. I booked the Domes for my Girlfriends birthday and we had a night to remember. From the moment we arrived the staff looked after our every need. After a very short wait in the fantastic K bar area we were quickly shown to the Domes. First impressions as you walk out are breathtaking with the Church lit up and all Domes beautifully presented. After being seated in the Dome it felt like we were the only people around as the noise from the busy road outside was non existent. The waiter we had was extremely attentive and knowledgeable about the food offering my Girlfriend some guidance on choosing from 2 dishes she was undecided about. The food came fairly quickly which was nice and when it arrived it was outstanding the prawns and Seabass are presented impeccably and perfectly constructed with all the flavours. At no point during the evening did we feel rushed, which can sometimes be the case in good restaurants, we were free to take our time and soak in the stunning evening. 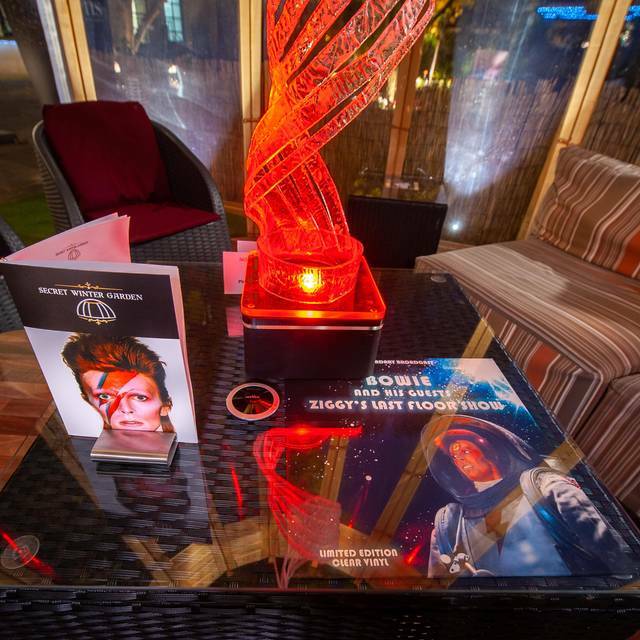 The blankets available for each table in the outside area is a great touch and shows the level of detail and care that goes into every aspect of the hotel and dinning experience. All in all this is a night we will never forget and i will be recommending the Domes to everyone i know. This really is a hidden Gem in London and something that is a must do! After a mixup with OpenTable and the info it was displaying re this venue I was contacted by the service manager and he explained the mixup and offered compensation. I'm yet to take them up on this but I'm giving 4 stars until I do. Because of the good service.